Are you an established self-employed therapist looking for new premises? I am looking for likeminded therapists with their own practice and client list, to come and work alongside me in my busy Chinese Medicine and acupuncture clinic. Due to the nature of the premises and current practice this could be the perfect space for you to practice from if you are a massage therapist, or other physical therapist such as Tuina or Shiatsu practitioner, physiotherapist or nutritionalist etc. 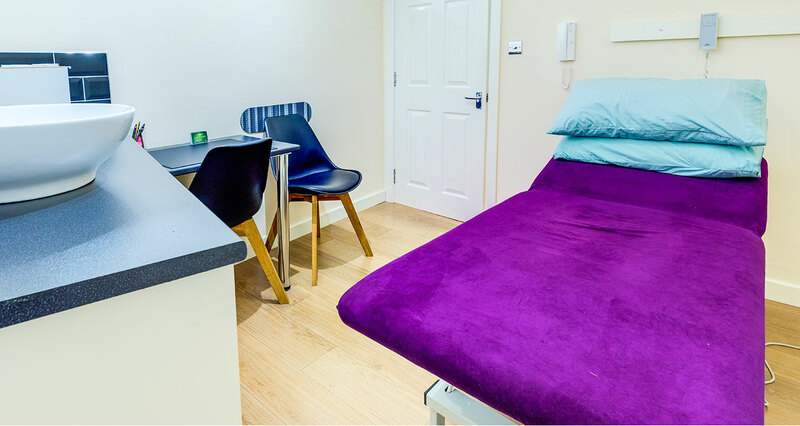 Each stylish, clean and spacious treatment room contains an electric plinth couch, a sink (with a wrist operated tap), soap and paper towel dispensers and a desk and seating area for 2 people. The clinic has a comfortable and relaxing waiting area with access to magazines and toilet facilities. We have a door entry system with remote access, so you can let people in and out easily from your treatment room. There is also a separate kitchen with seating area to enjoy your tea & lunch breaks. All therapists practising at The Jade Centre must be properly qualified and insured, with an up to date CV and two recent references.